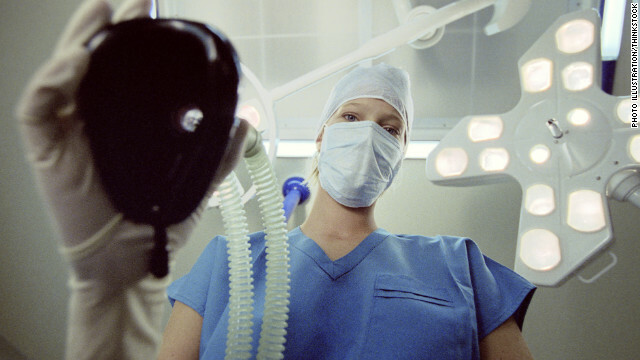 What the Yuck: Will anesthesia make me loopy? Q: I'm having surgery, and I'm worried the anesthesia will make me say or do something embarrassing. What's the risk? A: Don't worry - I see sedated patients every day, and I can't recall anyone ever saying anything truly mortifying. Yes, if you're going under general anesthesia (meaning you'll be out completely), you may become disoriented and uninhibited as the drug starts to work. You're usually asleep, though, before you can say or do anything really silly. The risk is a little greater as you're waking up, when the combo of anesthesia and any other medication you've been given may make your brain a bit fuzzy. But doctors are professionals - we're focused on our work, not on hearing juicy bedside confessions. I promise! Next entry »Is your boss ruining your weekend? i would aim to think that the person administering the medicine has the qualifications to give the recommended dosage required to allow the procedure that will be performed. Actually, doctors are pretty bad when it comes to swapping hilarious stories about patients. And even talking about you when you're under the knife. But let's just hope that the need for surgery outweighs your pride. Doctors are the worst, far worse than lawyers or your average criminal. Anyone who respects them is living in a fantasy world and not facing reality. Just a few words to thank the anesthesiologist, cardiothoracic surgeon, cardiologist and perfusionist who saved my life @ Fairfax Hospital. Yes, I was" loopy" after being anesthetized for three days (Triple coronary artery bypass surgery), but I'm alive thanks to the skills of these professionals. Bob, from Aug. 10, 2007 .. the day I almost died. I have more reason to distrust doctors than all of you put together, and I find most of them are smart and committed to their work. It only takes one lazy, golf-loving chucklehead to ruin your life, though(I ruined his career in return and put him on the road). Good point about comments in the OR when the patient is under anesthesia (but their subconscious is still listening – and responds to suggestion without analyzing). I wish more OR staff understood that and used that time for positive suggestions for healing and recovery instead of jokes. THE E.R. IS NO PLACE FOR HORSEPLAY! FIRE THE ONES THAT DO. You should watch MASH sometime. If a doctor is kind and sympathetic and feels the pain of his patients, he will see them die and suffer and live with loss. If he sees them as cases instead of people, he is more likely to see clearly and get the diagnosis correct. But if they are only cases to him, he isn't going to fight as hard for their lives. There's a balance between deadly serious and goofy, and that's where a lot of surgeons are hanging, holding onto their sanity. Surgery/Anesthesia..hmm....only thing I would worry about is constipation..